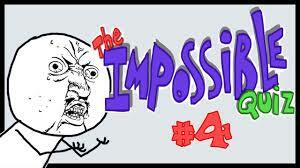 Everything started with the Impossible quiz 1, here you can try it! We have the good news for our visitors. 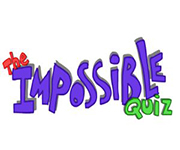 As it is mentioned in the description of the website, we want to provide all versions of Impossible quiz game. So, now you are able to play the first version of this great flash game. Everything started with impossible quiz and now continues with other versions, but impossible quiz is the version in which we fell in love immediately after it was published. When people saw this game first time, maybe some of you thought that it would be a boring game and you would stop playing it very soon. But all of those guys were wrong, because it is one of the best flash games recently, and millions of people enjoy playing it. As I said, Impossible quiz is the basis of the second version and of course they have the same main idea. The game provides for players very interesting quizzes and questions. As fanny and enjoyable quizzes are as hard and complicated they can be. Because in many cases questions are illogical and you should try to answer it with the help of your intuition. You might be asked about anything: Music, Sports, Literature, Geography, History and so on. It is clear that you cannot know every answer. That is why to give you better chances for win you have the possibility to make two errors. After the third error the game finishes. But there are one cool thing: You can continue from the same level and try to answer a question again. The impossible quiz has great music and sound effects. When your answer is incorrect, you would hear a sound of explosion. Do not be afraid ! It is not your computer ☺ just click replay and you will continue the game. Impossible quiz has very easy interface, you can easily find every detail you are interested in. You can find Instructions of the game in the right corner of the starting page. The best advice for you – As many times you play Impossible quiz, as high level you can achieve. So guys, let’s start the game and tell us, is the quiz really impossible or you are able to do it? !